We all have busy lives that leave us little wiggle room. We are expected to be in ten places at once, and always look good while doing it. This is not an easy role to live up to and sometimes we think that there is no way to keep up with the latest fashion trends while taking care of everything else we need to do in our everyday lives. One of the big issues that women have is finding fashion items that will take us from day to night easily. We have to work all day in the office and then go out afterwards, but this leaves little time to find a new outfit for each occasion. Instead, you can look for pieces that will be easy to transition from day to night. Here is some fashion that you can wear day and night. A fitted blazer has always been a staple in work wear, but new styles have transitioned the look from a daytime staple to a day to night must have. Consider a fun new look, like a colored or printed blazer that you can pair with your neutral dress bottoms for work and dress down with jeans for a night out. This look makes you look putted together and professional, but still fun and stylish. The key is to make sure that the jacket fits you really well, so invest in a little tailoring to make it look perfect for you. 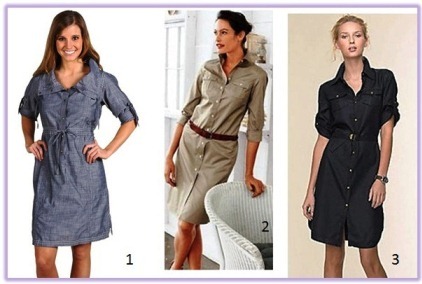 The shirtdress has been a weekend favorite for moms and teens alike, but now people are dressing up this comfortable look for any occasion. You can pair it with your fitted blazer for a classic work look, or dress is down with flat sandals and a chunky bracelet for a casual night out. They can even be paired well with tights and boots when the weather is cooler. The newest technology for lingerie is making new waves in the level of comfort women experience every day. Memory foam bras adjust to your shape, so you can be comfortable and supported all day long. Today, there is a style of a 24/7 memory foam bra for any occasion, whether you need a classic demi or a versatile multi-way bra. No matter how comfortable your clothing is, you will be certain that your bra will always give you easy comfort. Last year’s skinny jean trend is coming back in style for every season this year. Instead of the old, denim skinny jean, try out a skinny jean in a fun and vibrant color. Make sure you find a high-quality material that will not only last a long time, but also one that you will be able to dress up and dress down. Consider tweed skinny jean in bright red for fall or coral for summer. They will go great with a blazer for work and even better with a silk button up for a casual shopping day on the weekend.